As promised, here’s the remainder of the various characters and catchphrases used in animated cartoons from Fibber McGee and Molly, and in its spin-off series The Great Gildersleeve! Instead of a character saying “et cetera” to indicate the end of a list, Fibber would say, “…and all sorts of stuff like that there.” This wasn’t designated just to Fibber; other characters uttered this alternative, such as Teeny and Nick Depopulis, the Greek restaurant owner voiced by Bill Thompson. This was referenced in various cartoons for the same purpose, but in 1945, Betty Hutton performed the song “Stuff Like That There” by Jay Livingston and Ray Evans, which gives this catchphrase almost overt sexual connotations, undoubtedly to appease the American soldiers. Around the same period Bill Thompson used his “Old Timer” voice for Baby Face Mouse’s grandfather in Arabs with Dirty Fezzes (1939), produced by Walter Lantz, he also lent his voice to a W.C. Fields-esque mouse offering a sky ride tour of a closed department store in Little Blabbermouse and Shop, Look and Listen, both released in 1940. In both films, Thompson referenced his character, Horatio K. Boomer, a con man that spoke his dialogue in a delivery similar to Fields. In many of Boomer’s appearances, he would enter the McGees’ house, but would fail to locate a missing card, paper or any different item relevant to a certain situation called for in the broadcast. In 1941, the show debuted another supporting character— the timid, henpecked husband Wallace Wimple. He would often visit the McGee house as a sanctuary to avoid his overbearing wife, whom he nicknamed “Sweetie-Face.” Wimple’s role in the show was a prime example of something already an American comedy staple—with roots in vaudeville—and which became influential in ‘40s cartoons: brow-beaten husbands with bad-tempered wives. Bob Clampett’s The Wise-Quacking Duck (1943) and Friz Freleng’s Life with Feathers (1945) feature similar characters with wives nicknamed “Sweetie Puss.” At Famous Studios, three cartoons (The Henpecked Rooster, Scrappily Married and Sudden Fried Rooster) featured Henry the Rooster (re-named Hector in the third cartoon) continuously battered and beaten by his large wife, Chicken Pie. Thompson’s voice for Wimple led to his most significant role in animated cartoons, when he voiced Droopy for Tex Avery in the series’ first cartoon, Dumb-Hounded (1943). Thompson’s sad, monotone voice perfectly suited the character but its delivery isn’t exactly like Wimple’s. He continued to use this voice for Avery in Big-Heel Watha (1944), but his enlistment in the Navy in 1943 halted his career in radio and animation. Upon his arrival back, he continued to voice Droopy, starting with Senor Droopy (1949), and used this voice to a great effect for Disney, with characters such as The White Rabbit in Alice in Wonderland (1951), Mr. Smee in Peter Pan (1953), and Ranger Woodlore in a series of cartoons with Humphrey the Bear. By 1944, the McGee household employed an African-American maid named Beulah on the show, played by a white actor named Marlin Hurt. He previously used this type of character for various radio shows in the mid-‘30s and early ‘40s, and was discovered by show writer Don Quinn during a broadcast of the summer replacement program, The Fred Brady Show. Compared to Molly, who usually scorned at her husband’s jokes, Beulah reacted with screeching laughter and shout, “Love dat man!” As Beulah became a hit with audiences, she stopped appearing on Fibber McGee and Molly in the summer of 1945, and was given her own show, The Marlin Hurt and Beulah Show, where Hurt doubled as her loafer boyfriend Bill. Near the end of its first season, Hurt suffered a heart attack and died in 1946, with the role being assumed by Bob Corley. By that time, Beulah’s catchphrase had been referenced in some of Bob Clampett’s final cartoons such as The Great Piggy Bank Robbery and The Big Snooze. Perhaps the most durable supporting character on Fibber McGee and Molly was Thockmorton P. Gildersleeve, performed by Harold Peary. He assumed various roles on the show before becoming Gildersleeve, the McGees’ next-door neighbor who served as a nemesis to Fibber. In many episodes, when the two were not bickering, he would purposefully undermine Fibber’s plans for his own gain. Whenever Fibber uttered a firm statement towards Gildersleeve, he would respond with, “You’re a ha-a-a-ard man, McGee!” He also possessed a cunning laugh, which became synonymous with the character itself. For Hot Spot (1945), one of the Private SNAFU cartoons intended for the Army, Harold Peary lent his voice for a Gildersleeve-esque devil that observes American soldiers sending Lend Lease supplies to Russia from the sweltering country of Iran. It seems that the films intended for the general public were given imitations of Gildersleeve, while men in service were offered the real person as an added bonus. A year later, the Gildersleeve show acquired a drugstore with its proprietor, the modest but patronizing Richard Q. Peavey, played by Richard LeGrand. As Gildersleeve spoke with Peavey and lent his outrageous affirmations, Peavey would belittle him with, “Well, now, I wouldn’t say that…” which was famously referenced by the “Little Man from the Draft Board” in Bob Clampett’s Draftee Daffy (1945). Walter Tetley at left, Harold Peary in center. I think Louise Erickson on the right. 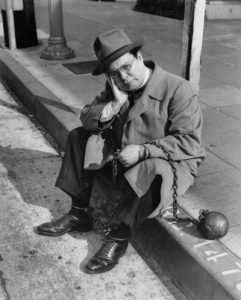 Born in 1921, Walter Tetley, an adult actor known for his juvenile impersonations, began his radio career at New York as a child performer in the early 1930s. He performed his “wisecracker” character type with such actors as Jack Benny, W. C. Fields and Fred Allen. In 1938, Tetley moved to the West Coast with Allen and stayed there to act in films and radio. In its early developmental stages, he auditioned for the role of Disney’s Pinocchio, in test dialogue recordings that indicated a more spoiled title character. Tetley made brief appearances on Fibber McGee and Molly, and became a cast member on the talk show The Grouch Club, with Arthur Q. Bryan and Jack Lescoulie, on Warners’ radio station KFWB. 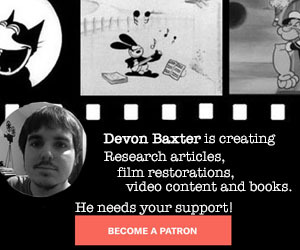 Various cartoons used actors from the show, including Arthur Q. Bryan, and Tetley lent his voice for Tex Avery’s The Haunted Mouse (1941). Shortly after, Tetley landed the role of Gildersleeve’s precocious nephew Leroy Forrester, and remained for much of the show’s run, which ended in the mid-’50s. 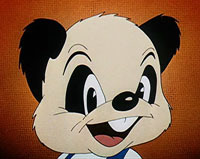 Tetley also voiced Andy Panda for Walter Lantz on such films as The Painter and the Pointer (1944) and Apple Andy (1946). He continued a career in animation, voicing Sherman in the “Mr. Peabody and Sherman” segments for Jay Ward’s Rocky and Bullwinkle. Harold Peary continued to perform as The Great Gildersleeve until 1950, when the show moved from NBC to CBS. 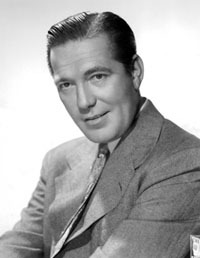 Gildersleeve was then played by Willard Waterman, and would appear in the 1955 television version of the show, which lasted only a year. The radio series ended in 1958. Meanwhile, Fibber McGee and Molly ran as a stand-alone radio series until 1956, when it was continued in short-form segments of NBC’s Monitor from 1957-59, as Just Molly and Me. Unlike popular radio stars like Jack Benny, Jim and Marian Jordan never made the transition to television, mostly due to Marian’s deteriorating health. After Marian died in 1961, Jim Jordan went into acting on-screen for television and lent his voice for the Disney animated feature The Rescuers (1977), as Orville the albatross. Here’s the Radio Round-Up video for this week! Again, I remind all readers that this video might not include every instance where a certain radio character or catchphrase is mentioned in animated cartoons. Horatio K. Boomer reference—clip used from Little Blabbermouse (WB/1940). Wallace Wimple reference—clip used from The Wise-Quacking Duck (WB/1943). “You’re a ha-a-a-ard man, McGee!” and other Gildersleeve references—clips used: A Coy Decoy (WB/1941), One Ham’s Family (MGM/1943), The Loan Stranger (Lantz/1942) and Hare Conditioned (WB/1945). “Well, now, I wouldn’t say that…” — clips used: Draftee Daffy (WB/1945), A Gruesome Twosome (WB/1945), The Old Grey Hare (WB/1944) and The Bashful Buzzard (WB/1945). Walter Tetley—clip used: The Painter and the Pointer (Lantz/1944). Harold Peary continued to perform as The Great Gildersleeve until 1950, when the show moved from NBC to CBS. THE GREAT GILDERSLEEVE remained on NBC throughout its run. Peary, however, did leave the series in 1950, lured to CBS as part of an ongoing series of “talent raids” CBS conducted in the late 1940s, convincing a number of top NBC stars to switch networks. Hal Peary was one of CBS’s less successful acquisitions, his THE HAROLD PEARY SHOW running only a single season. GILDERSLEEVE, meanwhile, continued without a hiccup, Willard Waterman stepping into the title role so smoothly that Peary’s departure had little impact on the show’s popularity. In later years, Peary would claim he signed with CBS only because the network had assured him they would have no trouble convincing Kraft Foods — longtime sponsor of THE GREAT GILDERSLEEVE — to switch the series to CBS from NBC. What’s particularly interesting is that Willard Waterman sounded so much like Peary for the sake of The Great Gildersleeve that few listners could tell the difference … which, it turned out, was Waterman’s biggest liability in getting radio roles before replacing Peary. Waterman, you may also like to know, was an alumni of WHA radio in Madison, WI, which Midwesterners regard as the nation’s oldest radio station (signing on in 1916 as experimental station 9XM, howbeit broadcasting in Morse code); he cut some early performing teeth, as it were, with The WHA Players. Hal Peary appeared in the short- lived 1959 TV version of Fibber McGee & Molly – not as Gildersleeve, but as Mayor La Trivia (played on radio by Gale Gordon). The Jordans were replaced by Bob Sweeney (later a TV director, on Andy Griffith and other shows) and Cathy Lewis. The phrase “and all sorts of stuff like that there” shows up in in the Fleischers’ GULLIVER’S TRAVELS, when Gabby is ordering the other Lilliputians to gather up equipment for capturing Gulliver. And I seem to recall Porky using it when he’s in panic about the “men from Mars” in Clampett’s KITTY KORNERED. Also used by one Frederick J. Flintstone at the conclusion of his love sonnet (“…Eyes so black, like frying pans”) in the season one episode, “Love Letters on the Rocks”. Walter Tetley was also a regular on The Phil Harris/Alice Faye Show, as obnoxious delivery boy Julius Abruzio. This article confirmed my suspicion that there were two voices for Droopy during his MGM run. Any idea who the replacement for Bill Thompson was during his military stint? Tex Avery himself, maybe? Joe Adamson in his book on Avery said Tex did the voice when Thompson wasn’t available, though in his last turn with the character, 1955’s “Deputy Droopy”, it sounds like Daws Butler’s doing the western-tinged voice. The irony being that Butler’s soon to be voice-partner at H-B, Don Messick, did a perfect Bill Thompson/Droopy voice as Professor Gizmo on THE RUFF AND REDDY SHOW. As late as 1954, Foghorn Leghorn riffed off Beulah to say “Love that dog” in the cartoon ALL FOWLED UP. And there’s the 1949 episode title LOVE THAT PUP for a “Tom and Jerry” cartoon; that particular cartoon introduced the theme song that would remain with the series through the end of Chuck Jones’s tenure on it in 1967. There’s this tiny bit in Holiday Highlights from late 1941 in which the professor from Graduation Day says to his graduate “Take it easy McGee!”, in a voice strangely reminiscent of Gildersleeve. Coincidence? It took about a year for William Waterman to get Gildersleeve’s voice right. After that, it was the same as Hal Peary’s. However, Waterman couldn’t do Peary’s laugh and couldn’t sing. I don’t know if Marjorie was meant to be obnoxious. Of course, I meant Willard Waterman. Supposedly Waterman DIDN’T want to do Peary’s laugh because it wasn’t the right thing to do. He and Peary were friends, I believe. I thought Waterman got GIldersleeve’s voice down pretty well, but let’s face it Peary (especially coupled with Tetley) was just perfect in the role. 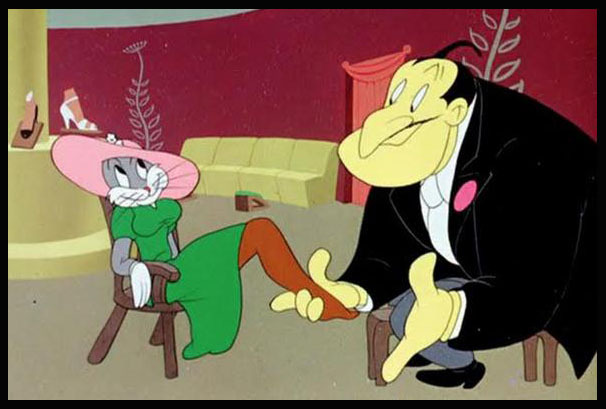 In another cartoon connection, Mel Blanc played a bunch of characters on The Great Gildersleeve when it was just getting started and even played barber Floyd Munson for most of the first year, until Elmer Fudd himself Arthur Q. Bryan took over the role permanently. Bea Benaderet also joined the series in 1943 as Leroy’s principal (and Gildy’s sometime romantic interest) Eve Goodwin. One “Fibber McGee and Molly” running gag that was not mentioned was the McGee’s hall closet–although it is alluded to in the clip used above with Teeny and “stuff like that there”. I don’t know if it showed up in any theatrical cartoons, but the “hall closet” gag was a staple of “Tennessee Tuxedo” episodes. Whenever Tennessee and Chumley needed some advice, they’d repair to Mr. Whoopee’s office. Whoopee (a riff on Frank Morgan of “The Wizard Of Oz”) would go to his hall closet, be inundated by the flood of stuff therein, and find his Three-Dimensional Blackboard–or the “3-D.B.B.” for short. This would lead into the “educational” area of the episode. Once the lesson was taught–if not necessarily learned–Tennessee and Chumley would go out and make jackasses of themselves–as they would have done if they hadn’t gone to see Mr. Whoopee. Treadwell Covington and the others at Total Television had backgrounds in radio’s golden age, and in advertising. So it makes sense that some of their shows would feature gags and business lifted verbatim from the old radio comedy shows. It may have been something of a private joke fort them. Surely a ten-year-old kid wouldn’t remember “Fibber McGee and Molly”, or the exchanges between Fred Allen and Kenny Delmar’s “Senator Claghorn” character. Turns out that two “Barney Bear” shorts use “McGee Hall Closet” gags, and to good effect. “Barney Bear And The Uninvited Pest” gets a lot of mileage out of this kind of gag, and plays with it nicely, using it more than once without just repeating the gag. “The Bear And The Bean” also uses sch a gag. –Some episodes of the television version of “Fibber McGee and Molly” have opening titles by the Clokeys. –One of Harold Peary’s last jobs in animation was as Mr. Fuddy, owner of a dude ranch, in “The Galloping Ghost”, a mid-to-late Seventies Hanna-Barbera production, often paired off with “The Buford Files”, a down-south take on “Scooby-Doo”. Interestingly enough, I believe Lillian Randolph (the voice of Mammy in the Tom and Jerry cartoons) took over the role of Beulah on radio and TV after Hattie McDaniel (who replaced Bob Corley in 1947) became too ill to work. 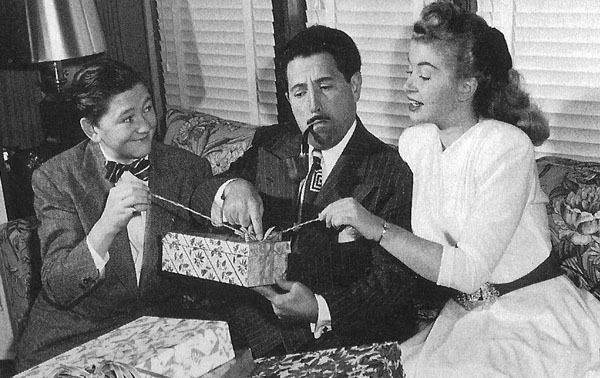 The Great Gildersleeve became a character that got his own short-lived film series, if I remember correctly. The collection is available from the Warner Archive. The character of Teenie reminds me of that chatterbox version of Sniffles that appeared in the last three cartoons in the series. And no doubt many Michiganers will recall Peary in commercials for Faygo soft drinks in the early 1970’s, as well as leading a barbershop chorus in a much-loved commercial tune for Faygo from that same period.